A new study from Asend2 has found that many companies struggle with SEO, with 67% of marketing departments across numerous industries describing their SEO strategy as “somewhat successful”. Just 15% said that they considered their company’s strategy as “very successful”, showing that many businesses are not making the most of a very important part of digital marketing. Of those who got it right, it was found that the most important aspect to SEO for them was thought to be improving organic search results. The least successful campaigns worried more about keyword management and brand awareness. The challenges faced by marketing departments and individuals was seen to be a lack of “clear and concise strategy”, something that comes as no surprise to many. However, many companies with both successful and poor campaigns also felt constrained by budget. This part of the survey highlights the need for companies to work closely with SEO professionals to come up with a sound digital marketing plan. This can be carried out by firstly asking an SEO expert, either in-house or agency, to carry out a comprehensive website audit in the first instance. This then gives a decent overview on how much work will need to be done and then a budget can be set. There are several ways that companies tend to pay for SEO services, beginning with paying a monthly retainer to a professional. This varies from business to business obviously and will also be based on how much work needs to be carried out each month. Average retainers across the industry vary from as little as $750 pm to $5000 pm or more. However, a contract with a fixed price can also be agreed, or set as the marketing budget, based on a number of factors such as SEO copywriting at between $0.15 to $0.50 per word, site and link profile auditing which will set a company back anywhere between $500 and $7500. Then of course, there’s the question of social media implementation and management, which will generally set a business back anywhere between $300 and $5000. The other option is to pay an hourly consulting fee which tend to range from around $100 to $300 per hour. When it comes to the tactics employed, the most successful for SEO was found to be the creation of original content, with fresh website material being seen as the second best. However, a holistic approach is probably the best thing that a SEO professional can do, employing a variety of tactics in order to gain the best results. Social is becoming increasingly important too, and it was a surprise that the survey found that 50% of businesses don’t integrate social media with SEO. Of the other 50%, these were found to be marketers with the most successful strategy, so it’s a clear indicator that social is becoming increasingly important when it comes to internet marketing. Superior strategies were also found to be much more effective at creating quality leads that then went on to be converted too. 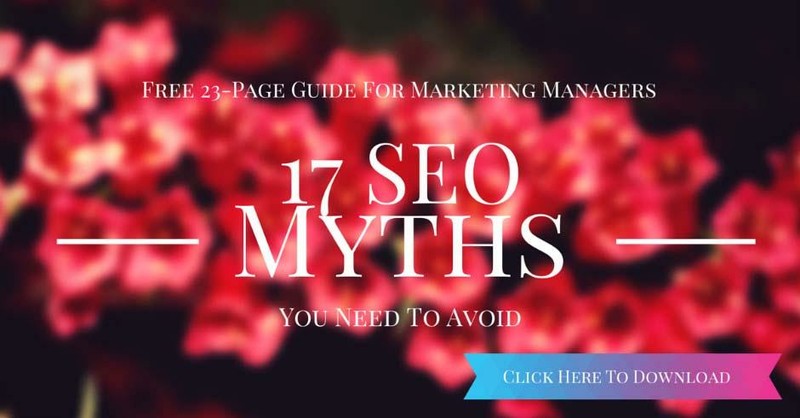 45% of marketers said that the found link building to be the most difficult aspect to their job when it comes to SEO, with almost as many citing the creation of quality content as being vital, yet tough. Whilst link strategy through guest posting was considered to be the most effective tactic overall, it was also thought to be the most difficult to carry out. Those with the weakest SEO strategy tended to feel that it is hard too. Companies looking to improve search results should carry out a SWOT (strengths, weaknesses, opportunities and threats) analysis to identify where they can best make changes. The questions to look at above appear in order of importance and these findings can be used to compare a company’s strategy with regard to how a superior strategy can be applied. With regard to the research carried out at Ascend2, it’s conducted online and made up of a ‘panel’ of 50,000 marketing decision makers from the US. The study was carried out across a range of industries, locations and business sizes so represents a fair indication of what marketers for all sectors think about SEO. The findings are an interesting representation of how SEO tactics work and which produce the best results. For many SEO professionals, there won’t be many surprises in the findings, as these are all common strategies for them to employ. However, for companies it should serve as something of a wake-up call, as it clearly shows that those with weak strategies, that don’t make the most of content, social and link building activities, are more likely to fail. Considering that few people carrying out an online search will get past the first page, those who don’t invest in SEO are likely to be overtaken by those that do. This means of course that the ROI could definitely be improved, although many of the decision makers pointed out that they did feel constrained by inadequate budgets. It’s likely however that adopting a superior strategy will provide the best ROI, so setting a decent budget, coupled with a clear and concise plan, it the key to search success. This entry was posted in General, SEO. Bookmark the permalink.